In Episode 9 of Unfolded, the illustrious Dave Harrity reflects on relationships, marriage, love, awkwardness, pride and compassion in his poetic story entitled Through The Motions. And, as always, Matt Barlow shines on the 1’s and 2’s. Dave Harrity is an author and teacher from Louisville Kentucky, where he lives with his wife and kids. 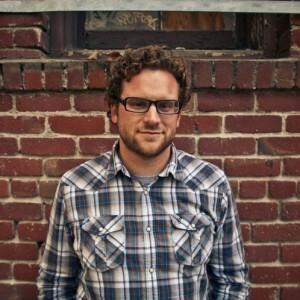 He is the author of Making Manifest: On Faith, Creativity and the Kingdom at Hand, which is available at seedbed.com. He is also the founder of Antler, a community building organization that exists to help people engage creativity as a devotional practice for spiritual formation. You can connect with Dave on twitter @daveharrity. Please subscribe to Unfolded on itunes. Non iTunes users can grab the feedburner feed HERE or listen through Stitcher. And when you’re done listening to the show, you can read Through the Motions here.